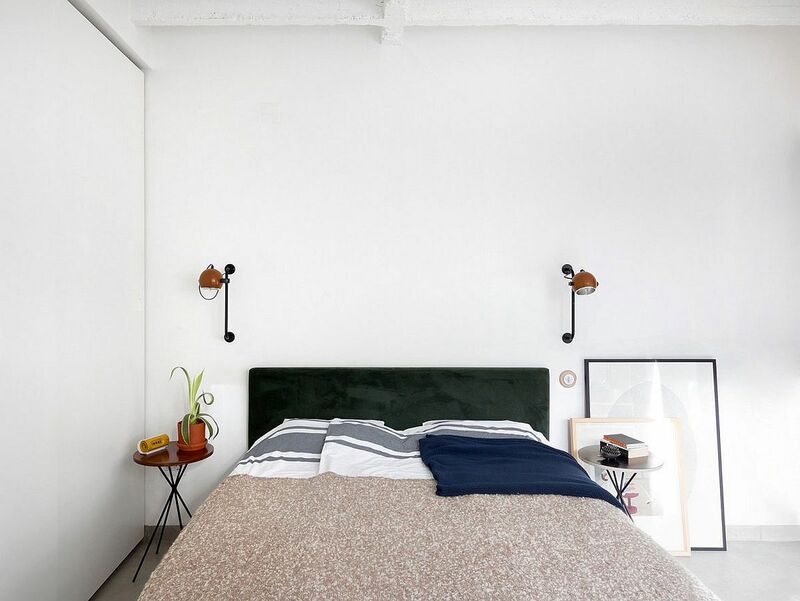 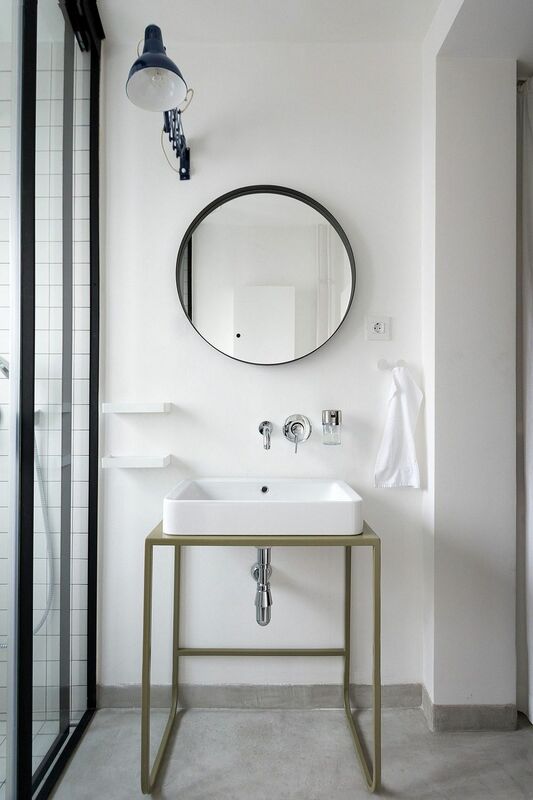 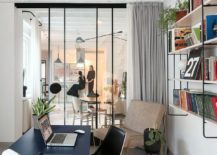 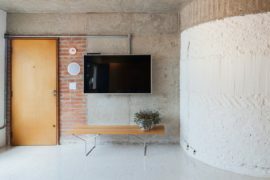 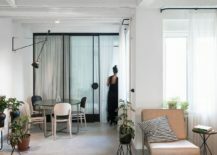 The idea of a crisp, white backdrop, an interior that is flooded with natural light, and modern décor that combines sleek aesthetics with smart functionality – is often the urban apartment that many of us dream about. 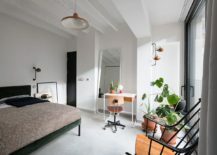 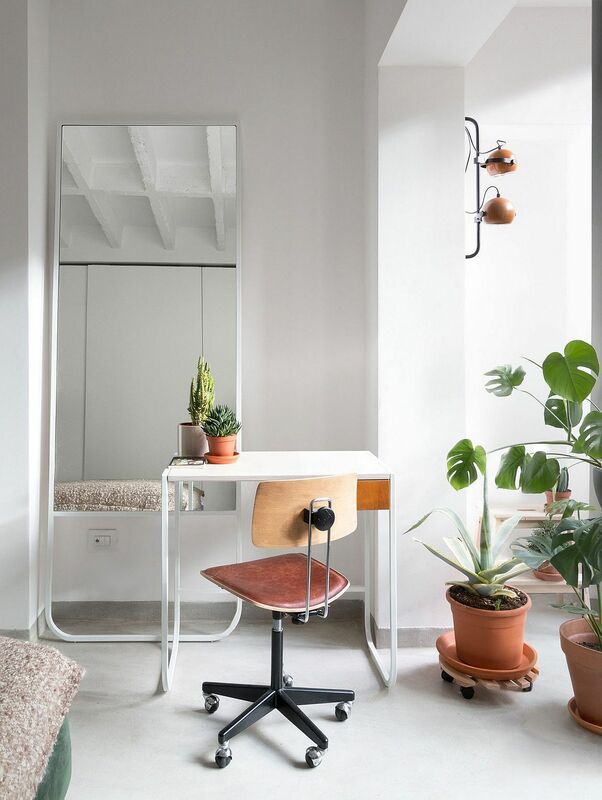 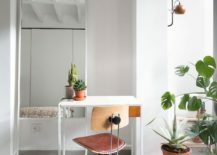 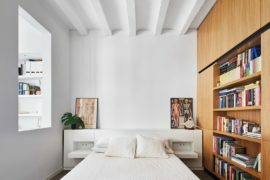 Bringing this idyllic image to life is Studio AUTORI, who refurbished a smart 80-square-meter apartment in Belgrade into a chic, contemporary hub. 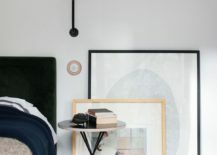 Painting a picture of style and serenity, Katarina & Igor’s Home reflects the taste of a young couple and the way they envision their new future. 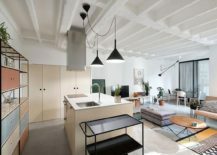 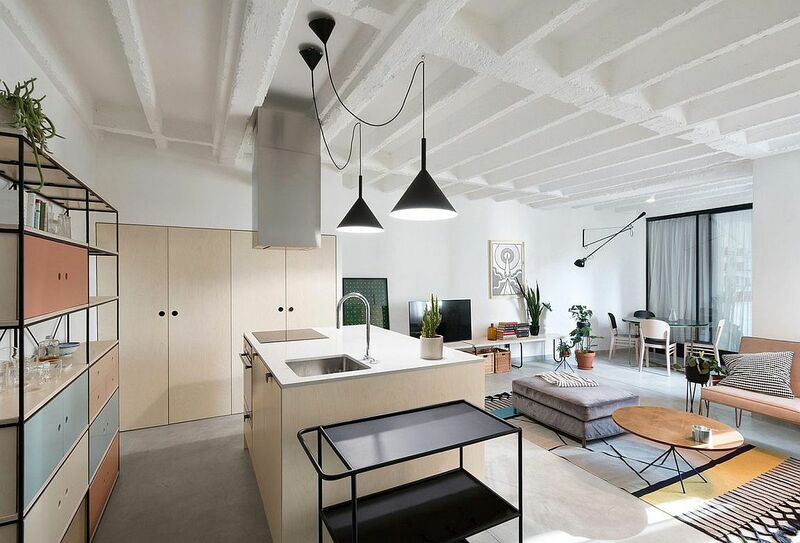 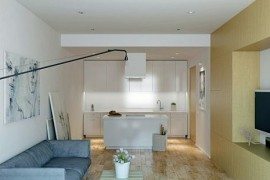 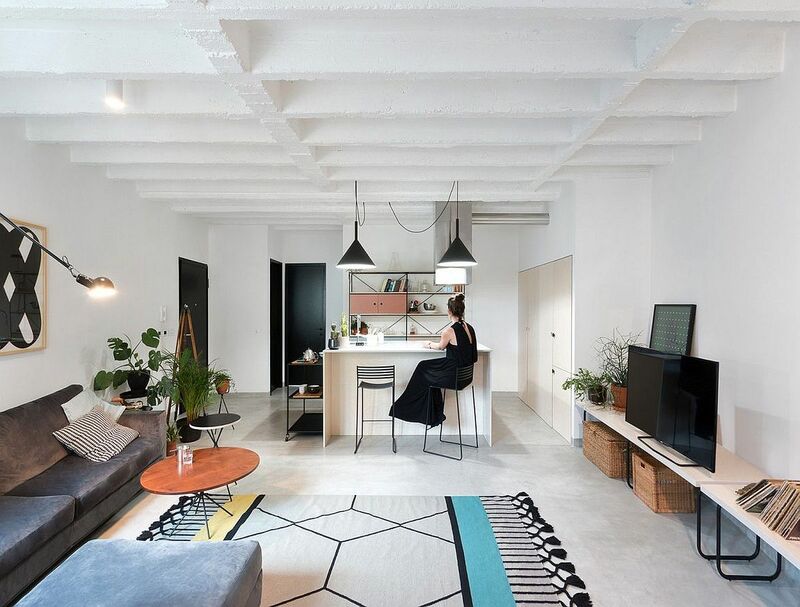 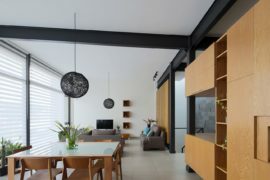 An open plan living area that contains the dining space at one end and the kitchen on the other is the heart of this new and improved apartment. One of the striking features of this refined apartment is the way in which every little detail has been carefully thought about and placed to create a curated yet casual living environment. 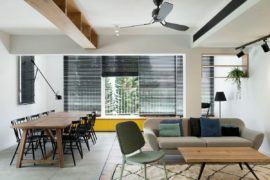 Despite the backdrop being white, it is additions like the patterned rugs, accent cushions, kitchen cabinets and pendant lights that add intrigue and contrast. 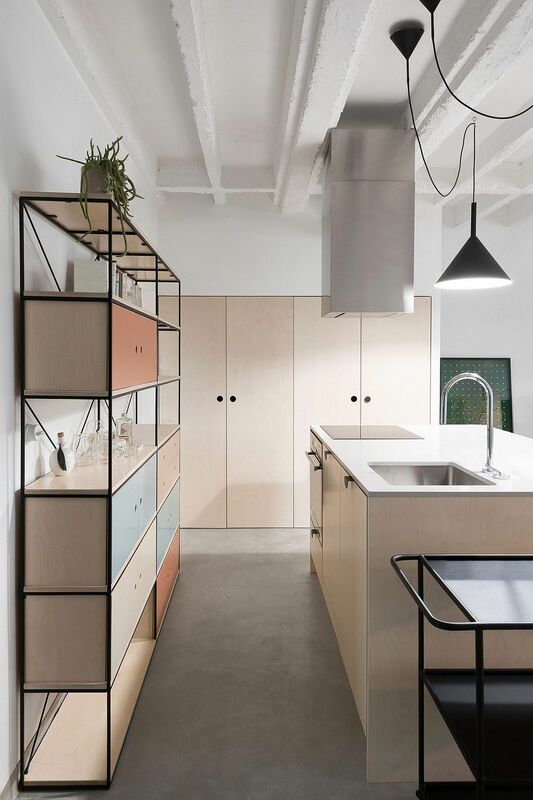 There is never a dull moment here, with custom furniture from the architects offering both space-saving convenience and a hint of quirky charm. 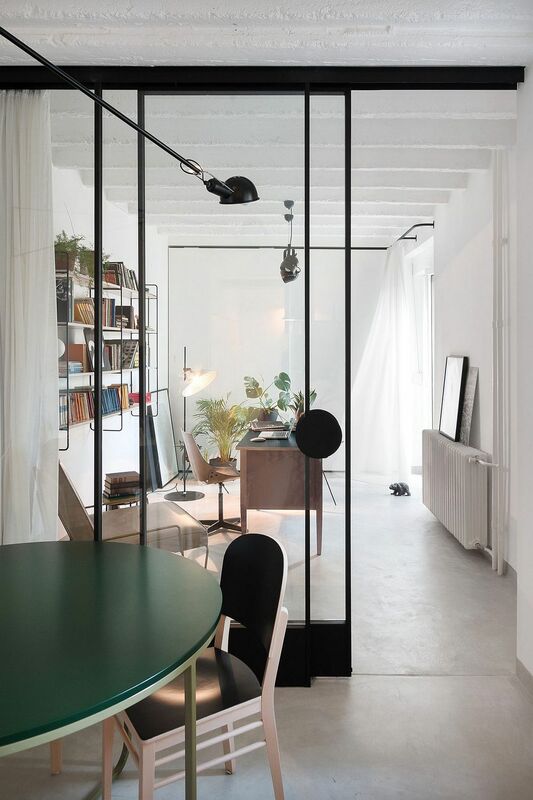 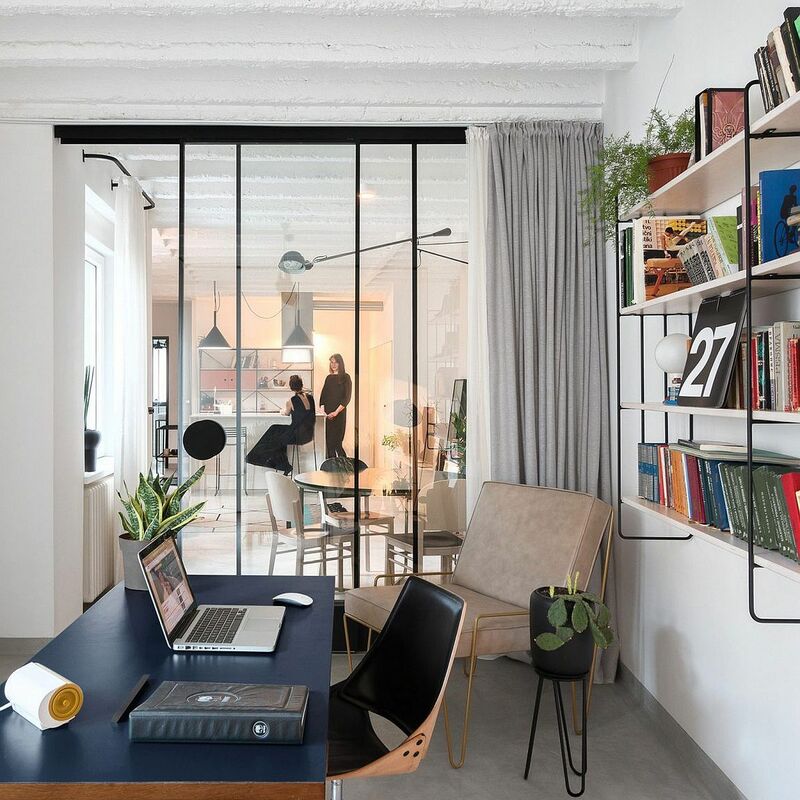 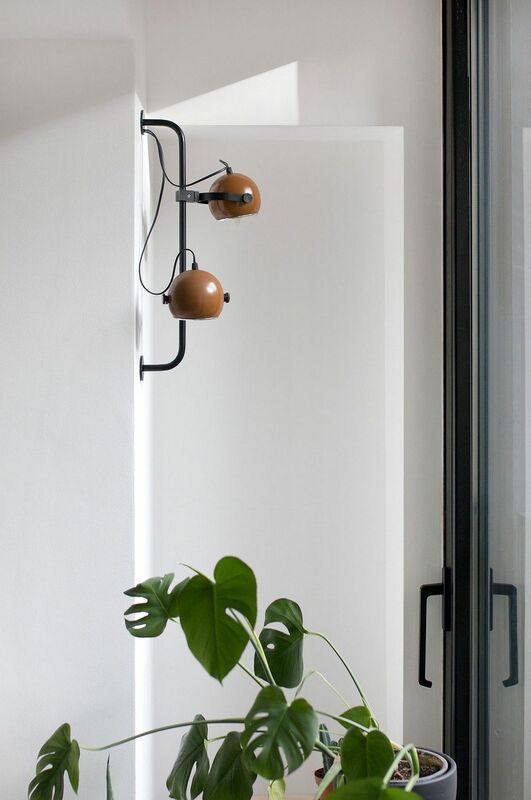 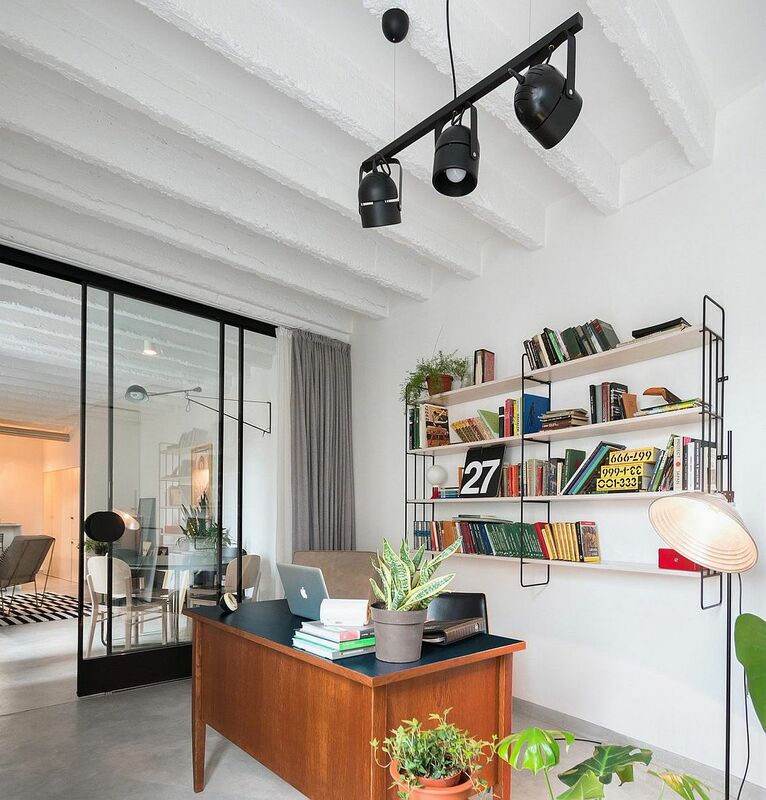 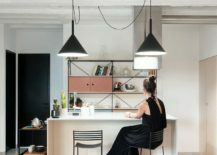 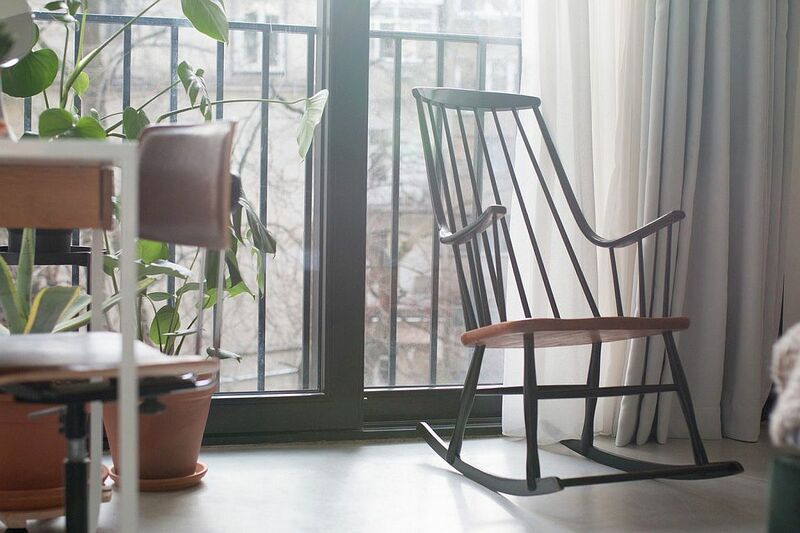 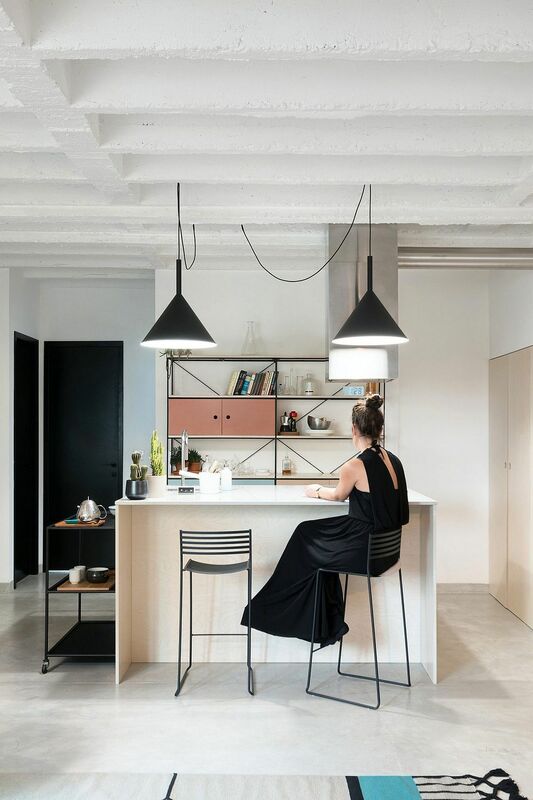 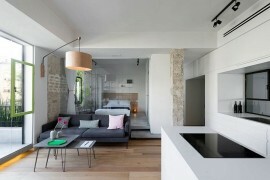 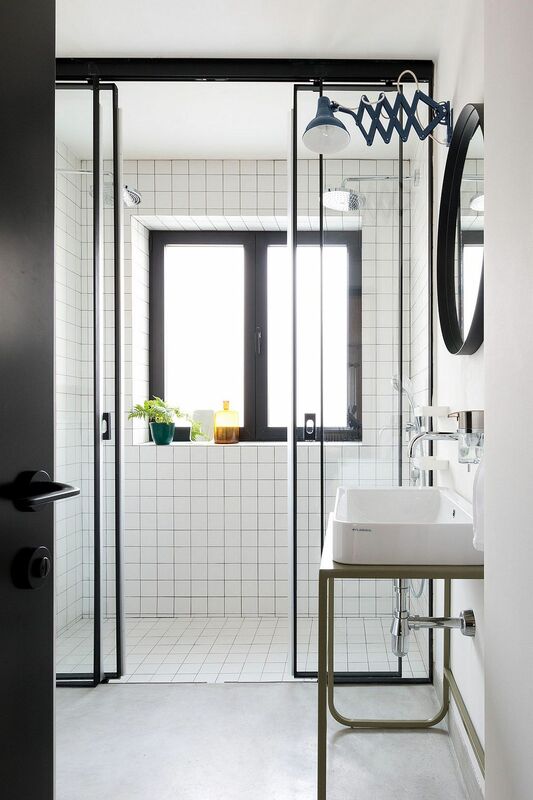 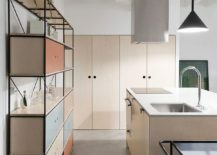 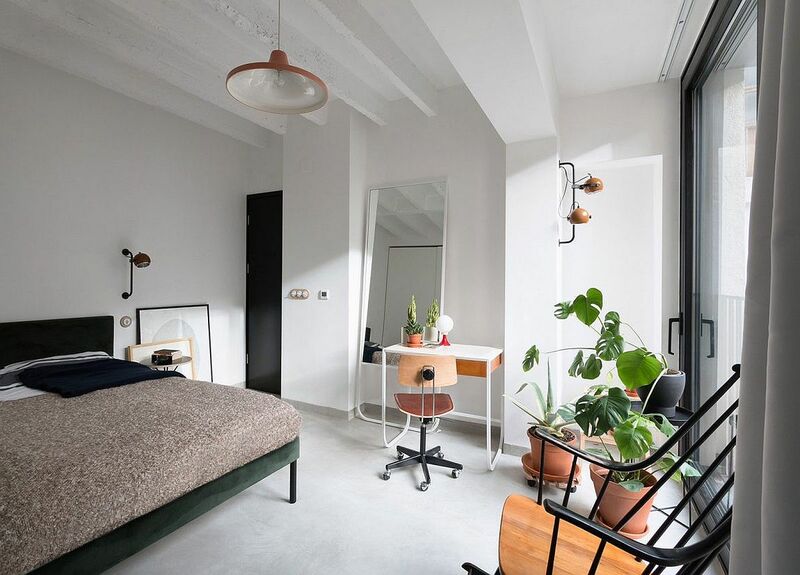 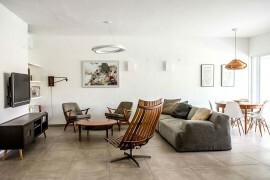 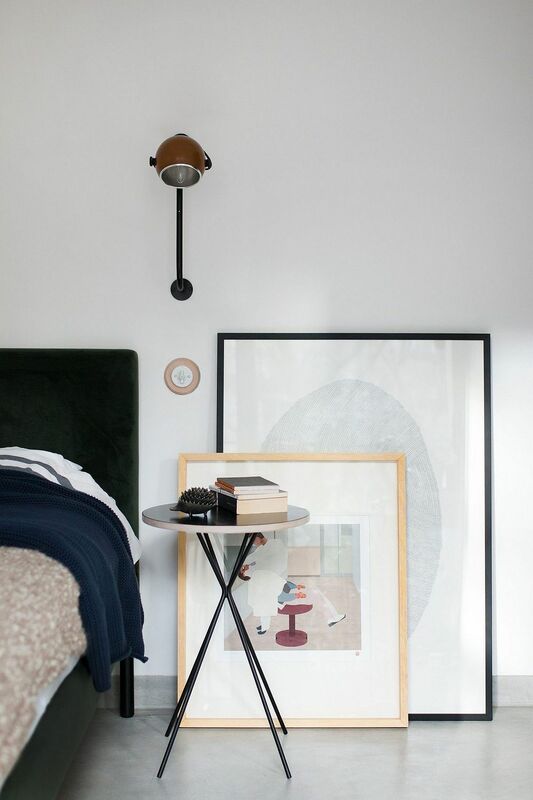 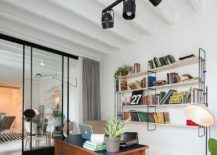 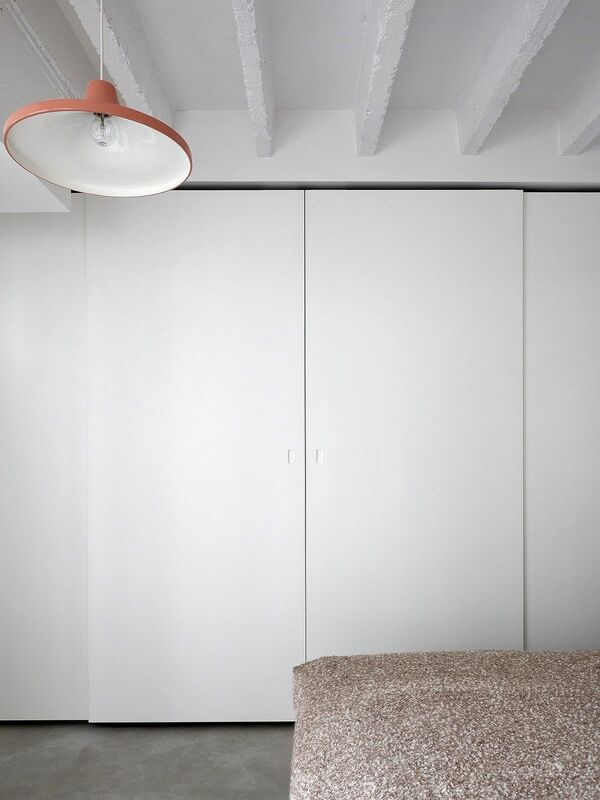 RELATED: 30sqm Paris Apartment Unravels a World of Space-Saving Delights!